Your Morning Cup: Here's hoping! We're putting an offer in on a house. If you had told me a year and a half ago that I'd be in Oklahoma with a baby and thinking about buying a house I probably would have laughed at you. Yet, here we be. Oh, and did I mention that the offer is ridiculously low? I mean, low low? And that our wiggle room for negotiation is itsy bitsy? Still, we love the house. It has a basketball hoop for Matt. 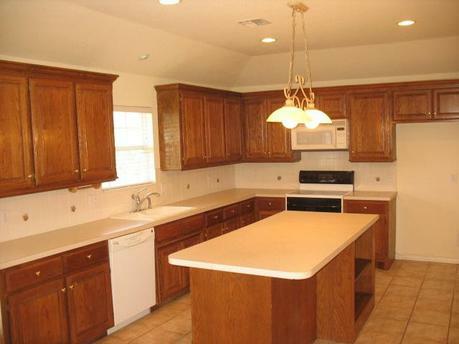 A big kitchen complete with an island for me. 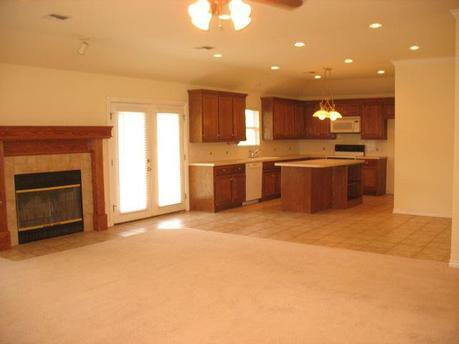 A huge living/dining/kitchen area for having people over and for Tatum to toddle around. And a large yard backing up to a greenbelt and a creek for Roy. 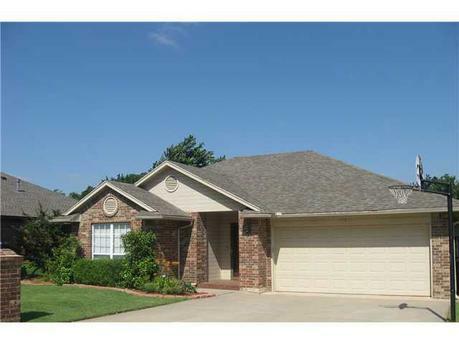 It even has a three bedrooms so y'all could stop on by! And so we put an offer in on it. Its a loooong shot, but its worth a try. Note: I know this is severely out of context and am not taking it seriously as a word from the Lord about the house, I just found it funny! So if you think of us, say a little prayer that if its God's will we be in that house for the next 3 or 4 years that he would open all the doors, and that it would be obvious to all that it was His hand that gave this to us. We will definitely be praying. What an awesome opportunity! And beautiful!